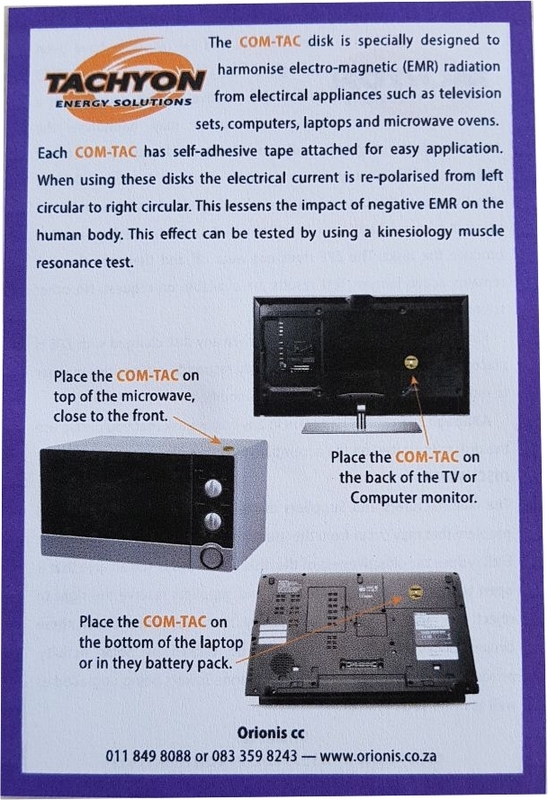 This self adhesive disk is to be used to neutralise the negative effects given off by Computers, TV’s, and Microwave Ovens. 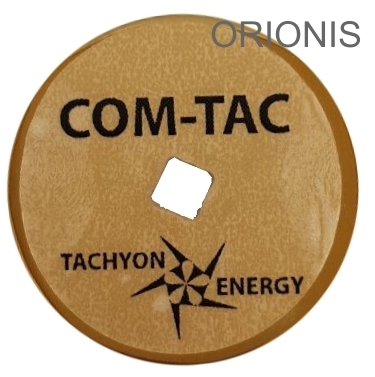 Attached to the item it transmutes the negative energy into positive energy thereby reducing any harmful effects these items may have on the physical body.The disk is stuck with self adhesive tape to the middle of the back of the screen of the PC or TV. For Microwave use it is placed on the top of the unit toward the front on the right hand side. Laptops have the Com-Tac placed over the battery pack on the outside of the unit. Should one wish to place the Com-Tac inside the battery pack this is acceptable.